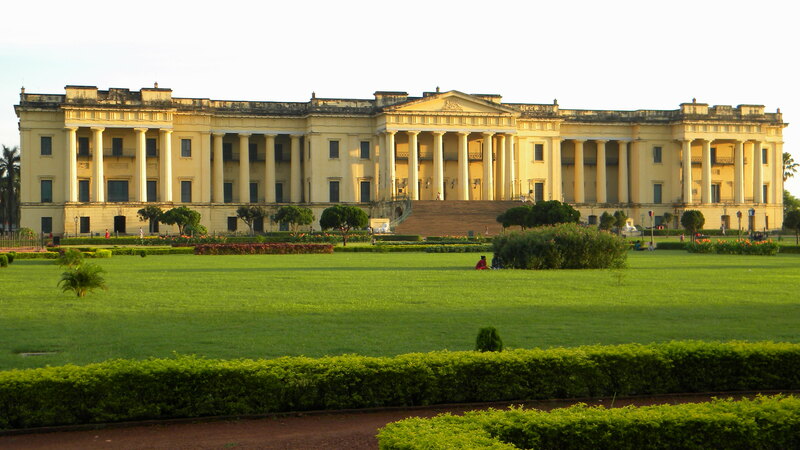 Murshidabad was the capital of Bengal when the British first came to India. 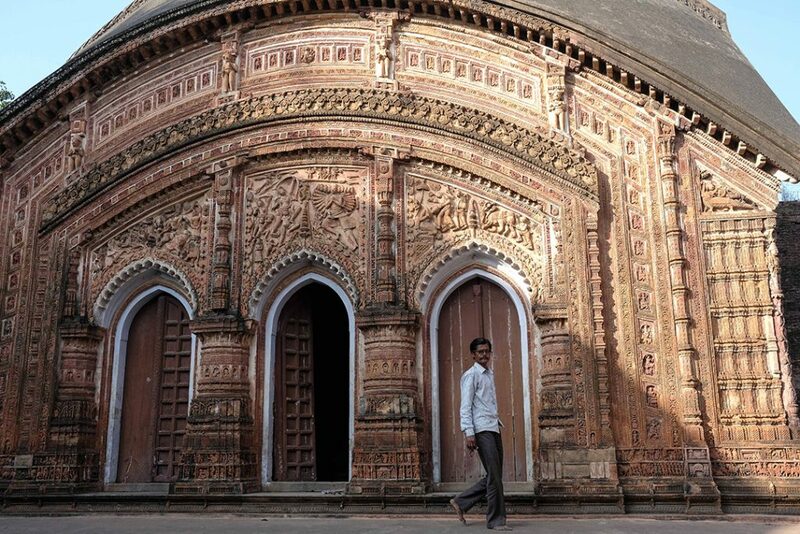 A bustling trade centre, this area attracted not only overseas traders but also bankers and merchants from North India. 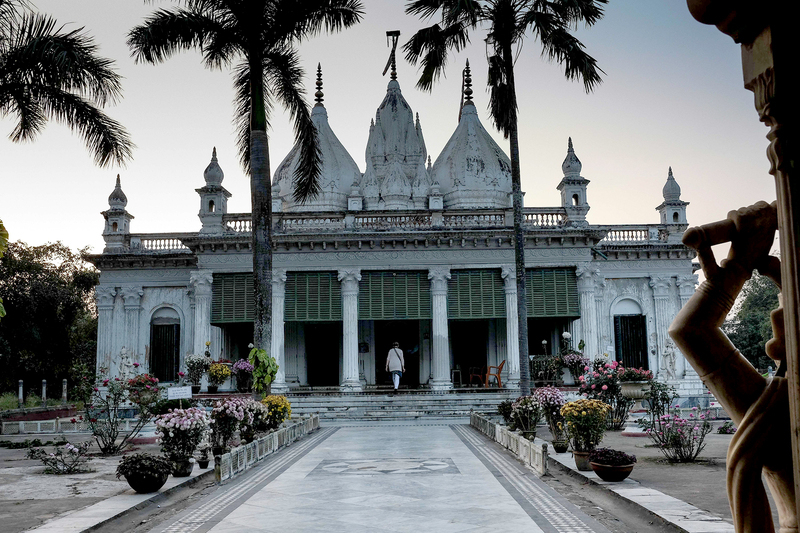 The Jains settled down primarily in the Jiaganj and Azimganj area where our story begins. 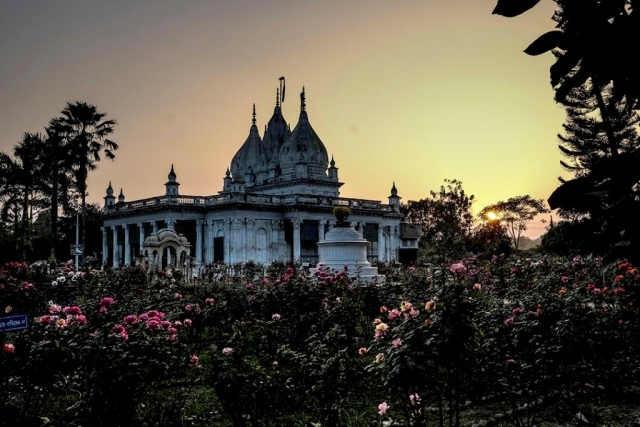 Although most of the Jain families moved to Kolkata, Murshidabad is still highly regarded for its many Jain temples and huge numbers of people visit every year. 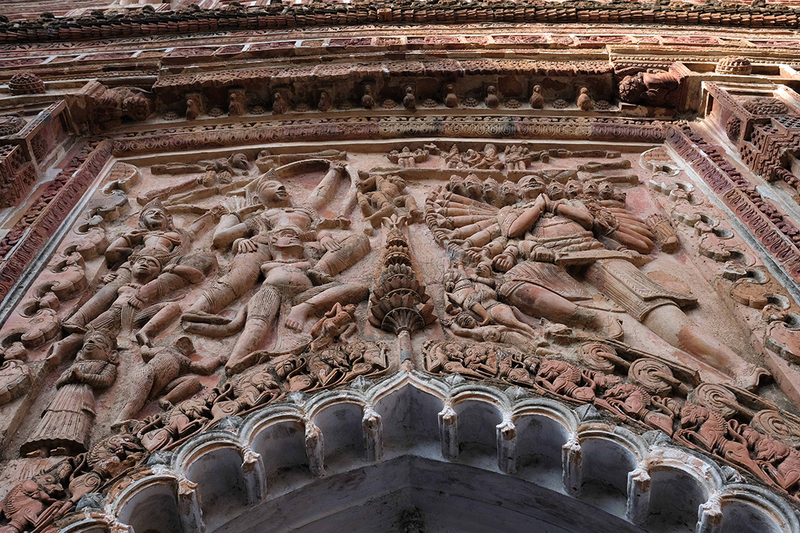 There are also a number of Hindu terracotta temples like the Char Bangla dating back to the 18th century. In the absence of a bridge connecting the two areas, the quickest way to get from Azimganj to Jiaganj is to cross the Bhagirathi river by boat. 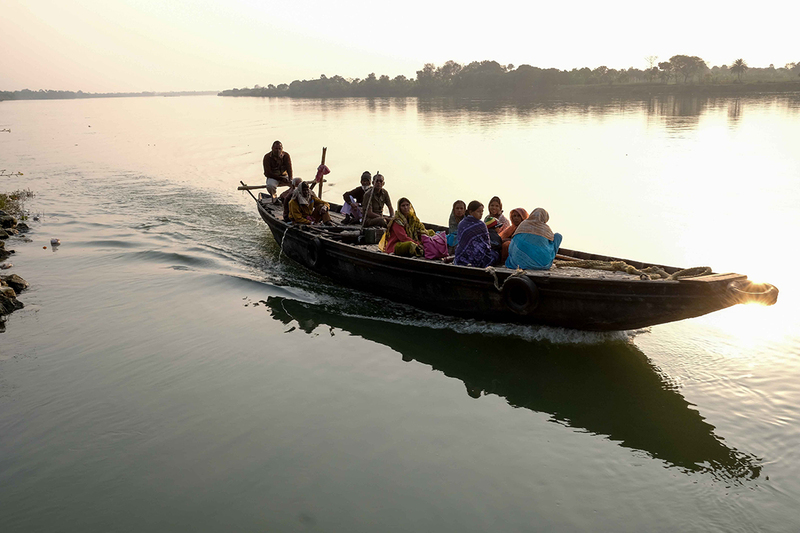 There is always a boat to be found at the ghats, and they can often be seen being repaired, or new boats being built, on the riverside. 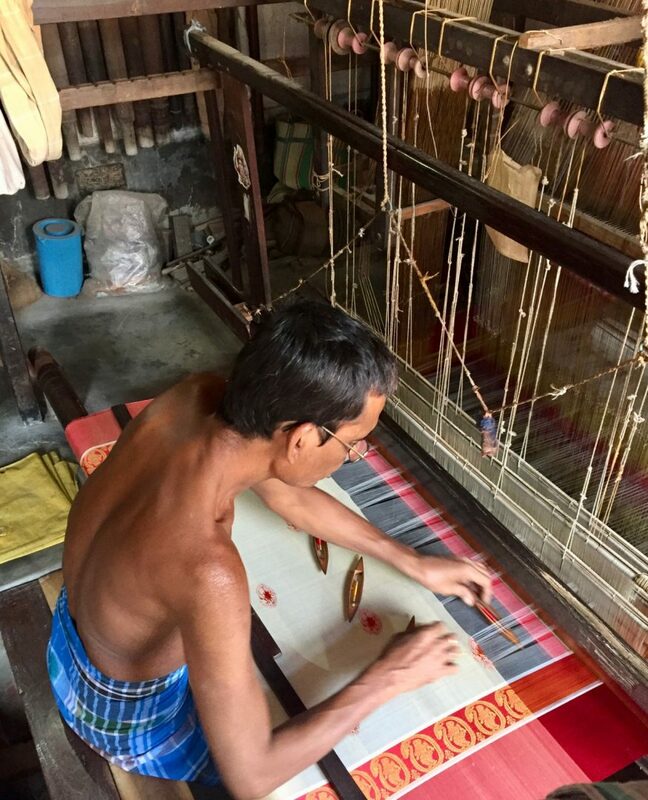 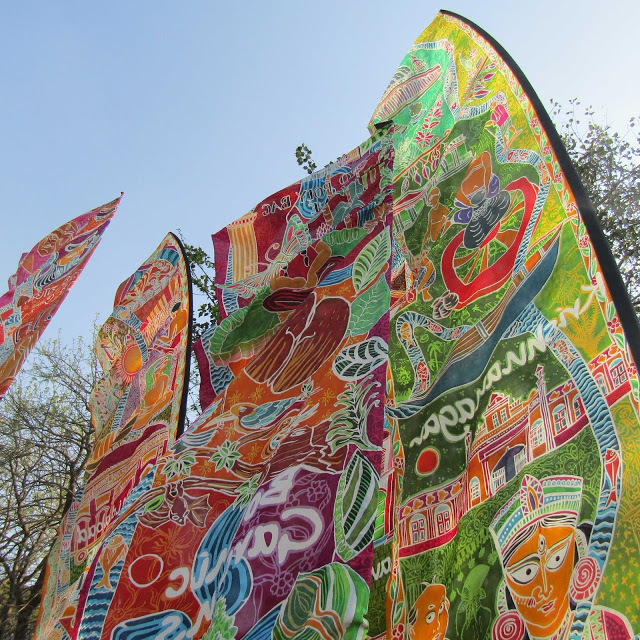 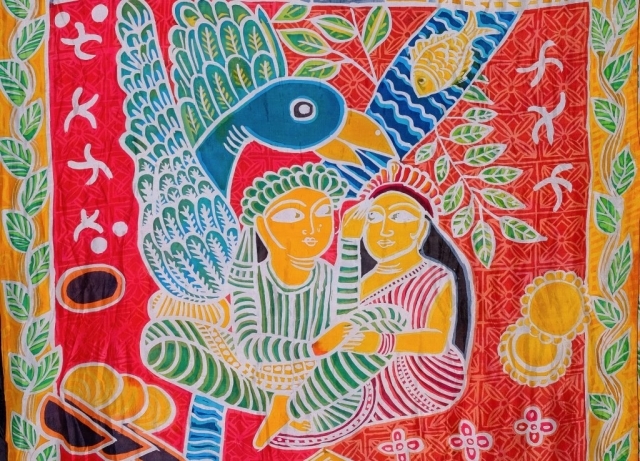 The tanti-para, (weaver settlements) are just a short walk from the Jiaganj ghat. 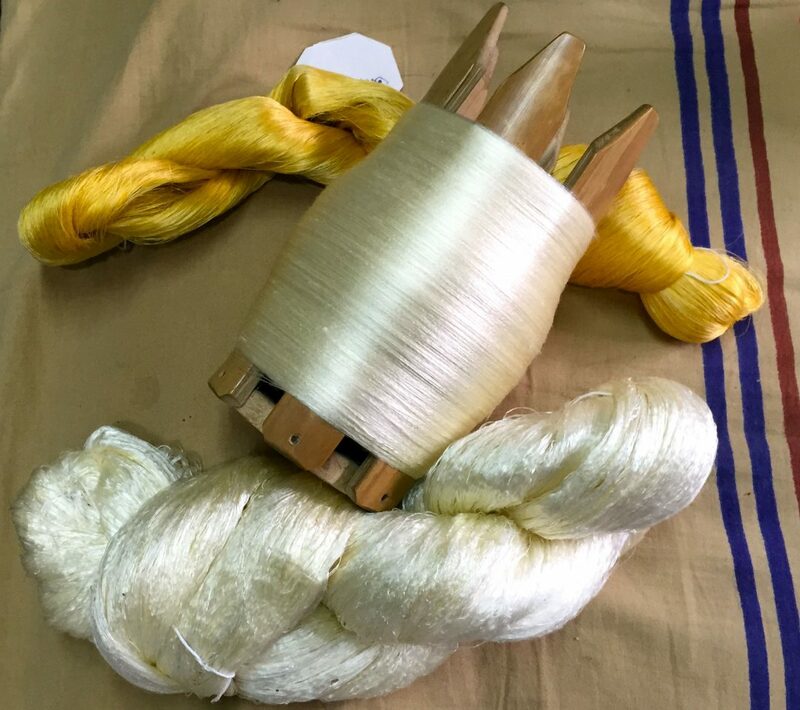 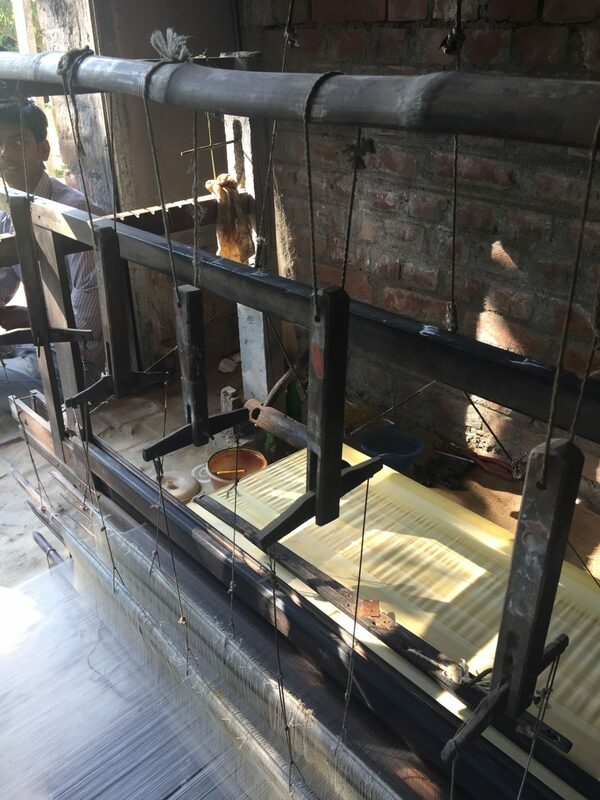 Although the demand for silk has declined over the years, there are some weavers who still continue with the tradition of producing the finest quality of silk, that this area was once world famous for. 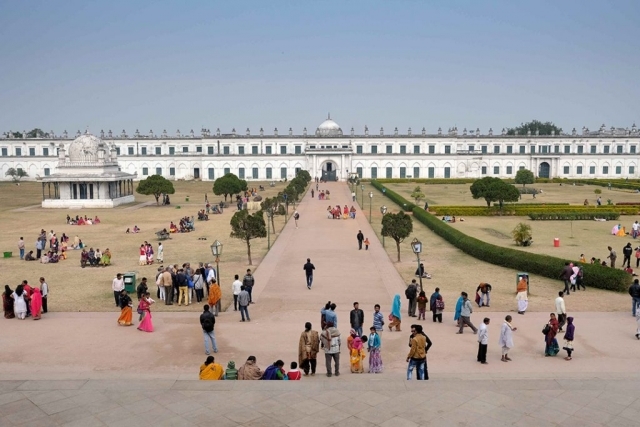 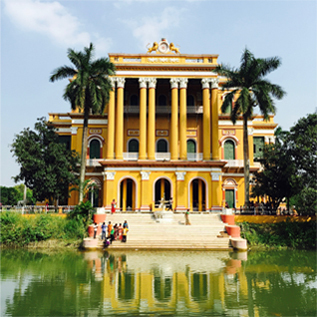 The fact that Murshidabad was a very prosperous town in the 18th century is evident from the grand Rajbaris like the Kathagola Palace, Cossimbazar Rajbari, Nashipur Palace, which are now being restored by the efforts of the present generation, and see hundreds of visitors every year.